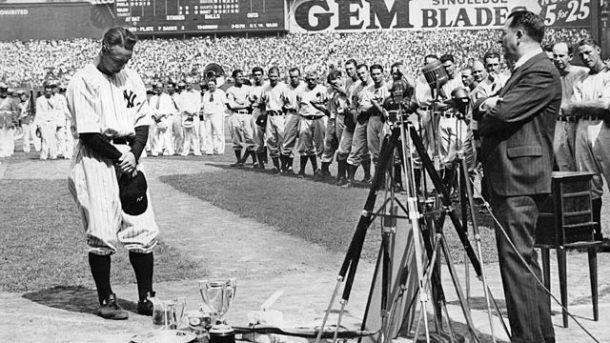 Gehrig was given the diagnosis of ALS in June and the team scheduled a Lou Gehrig Appreciation Day for July 4, 1939. He passed away June 4, 1941. I am always fascinated by the intersection of classical music with people and places throughout history that intrigue me. Along with classical music and history, I also love baseball. Wouldn't it be cool if Gustav Mahler had gone to a baseball game during his time in New York (1907-1911)? I have not found anything to suggest that he actually did...I will keep looking....but I did find a citation about Lou Gehrig going to classical music concerts! 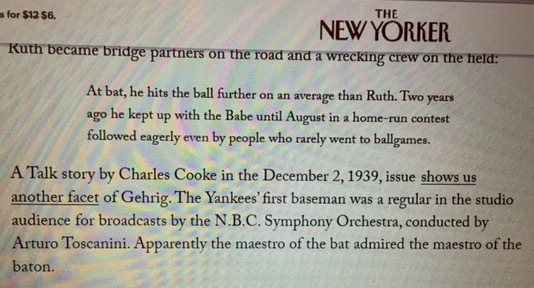 According to an article in the New Yorker Magazine, Gehrig was a regular at concerts of the NBC Radio Symphony conducted by Arturo Toscanini. 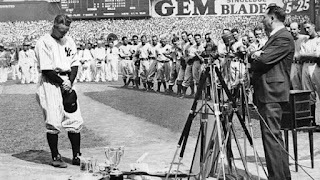 Not only was Gehrig one of the greatest players in history, he also appreciated classical music. I like the band Jethro Tull, but admittedly I have a pretty limited knowledge of their catalog. I stumbled on what is one of their best known albums this week...yes, I am very late to the party....it's called Stand Up from 1969. The song I heard that grabbed my attention is called Reasons for Waiting. In addition to flute and organ (these are instruments more often heard in the classical world) at 2:25 a very nice string section joins in. Enjoy. What a cool project! I'll be interested to hear how it goes and what you think. 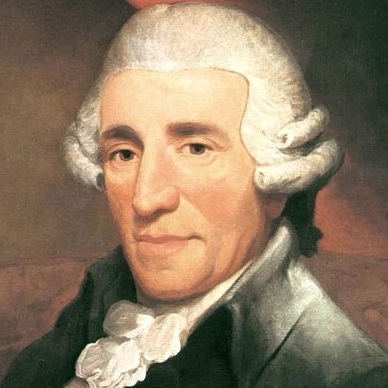 I couldn't do it...as brilliant and innovative as Haydn was, some of those early ones are a little anodyne, IMHO. Have fun!